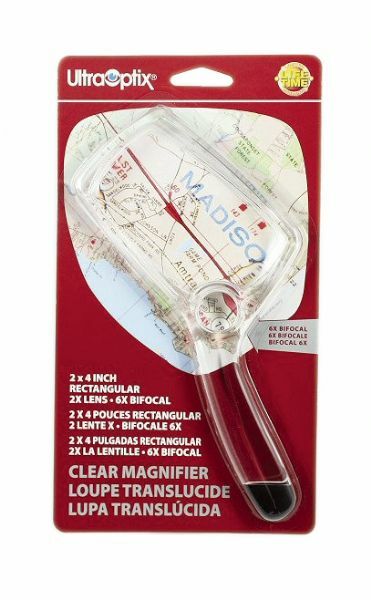 2" x 4" clear magnifier. * A 2x magnifier with a 6x bifocal insert molded in a cutting edge design with a scratch resistant lens. 9" x 5" x 0.5"